Bruce Gregory, Sarasota (gift from the artist, 1950). By descent from the above to the present owner, 2002. Winter Park, Florida, Albin Polasek Museum & Sculpture Gardens, An Attraction to Abstraction, The Fluid Life of Bruce Gregory, May-June 2010. Bruce Gregory studied with Léger in Paris between 1949 and 1951 and was gifted the present work in recognition of his achievements as the best student in class. 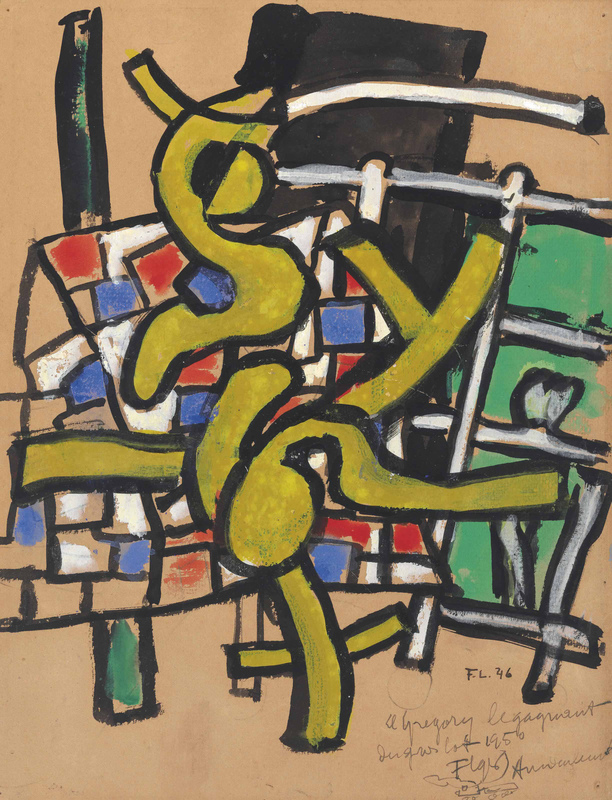 Upon completing his studies with the artist, Gregory was selected to execute the two Léger murals in the United Nations General Assembly in New York.